We are often asked technical questions about ISO Flanges, so to try and answer some of the most frequently asked questions. Of course, if we have missed any or you would like further details please do contact us on +44 (0)1424 447726 or place your question in the comment box below. 1. Question – What are Vacuum ISO Flanges? 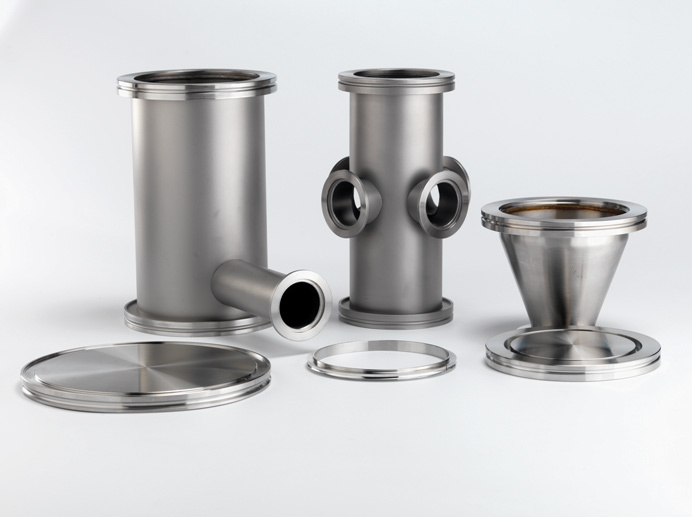 require a vacuum connection using the same principle sealing design as the Vacuum KF Flanges and can be used multiple times to connect Vacuum instruments, Vacuumscientific equipment, Vacuum Pumps and other Vacuum Equipment to a vacuum vessel. The Vacuum ISO Flanges use clamps or bolts to pull them together forming a Vacuum Seal with the aid of an Elastomer O-ring and metal carrier. 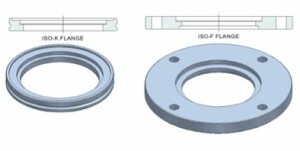 The standard designations for these types of Vacuum flange is ISO – K or ISO-F.
2.Question – What are the standard sizes for the Vacuum ISO Flanges? Answer- Vacuum ISO Flange sizes are designated by their bore diameter matching the nominal tube diameter that is welded into it. The standard designations are ISO63-K to ISO500-K &amp; ISO63-F to ISO500-F. The dimensions for these sizes of Vacuum ISO Flanges are to the vacuum industry standard, other sizes are available on request. 3.Question – How is the Vacuum-tight connection made? 4.Question– What Material are Vacuum ISO Flanges manufactured from? Answer- Vacuum ISO Flanges are predominantly manufactured from Stainless Steel Grades 304L or 316L, however, the Vacuum ISO Flanges are also available in a variety of other materials and can be manufactured according to the customer requirements. 5.Question– Can ISO-K &amp; ISO-F Vacuum Flanges be mated together? 6.Question – What Temperature can Vacuum ISO Flanges be used up to? Answer– Vacuum ISO Flanges can be used up to a sustained temperature of 200°C with elastomer O rings. 7.Question – Are there a range of standard Vacuum Fitting and Vacuum Components manufactured with Vacuum ISO Flanges? Answer– There is a complete range of standard Vacuum Components and Vacuum Fittings manufactured and stocked with Vacuum ISO Flanges. 8.Question – Can Vacuum ISO Flanges be supplied with electrical feedthroughs? Answer– Vacuum ISO Flanges can be supplied with a variety of different electrical feedthroughs, these can be manufactured to customer requirements. 9.Question – Are Viewports available in Vacuum ISO Flanges? Answer– Vacuum ISO Flanges are available with a variety of different viewports. We generally supply Vacuum ISO Flanges with Borosilicate windows, however, if a different window is required we can also offer this.